Dr. Rose is Clinical Professor of Periodontics at the University of Pennsylvania and New York University and also Professor of Medicine and Surgery at Drexel University, College of Medicine. Dr. Rose is a Diplomate and Director of the American Board of Periodontology and is on the editorial board of several peer reviewed journals, including the International Journal of Periodontology & Restorative Dentistry, Journal of Periodontology, Journal of Esthetic & Practical Periodontics & Restorative Dentistry and he is Editor-in-Chief of the Compendium of Continuing Education in Dentistry. He is a well established and leading dentist in the area. 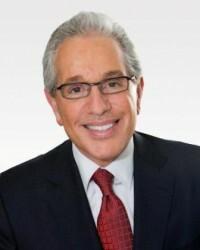 Louis Rose is the Periodontists periodontist. He has outstanding knowledge and skills. His DMD and MD degree allow him to care for patients in a superb manner. He has a great personality and a great office. Dr. Rose and his staff have always been accomodating to our patients. 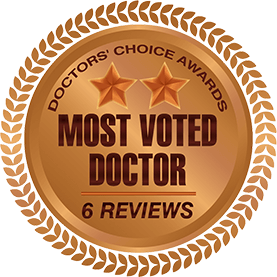 The feedback that I have received from the patients who were treated by Dr. Rose has always been positive. The treatment results whether it has been periodontal or implant placement has been exceptional. I endorse this practioner without reservation. I have known Dr. Rose for more than 38 years, first as a student in his residency program & then as another dentist treating patients together with a common goal to improve their oral health. 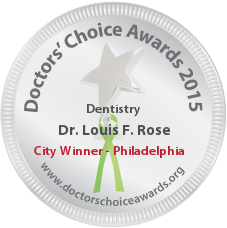 I can without reservation, in any capacity of dentistry, recommend Dr. Rose to my patients. He has the knowledge & skills to provide excellent care to our patients . I appreciate that I can turn to him for his expertise & advice. I consider Dr. Rose to be a leader in periodontics and implant dentistry. He is one of the most educated, intelligent , and recognized experienced practioners in our specialty. He has contributed more to the practice of dentistry and medicine than most doctors could ever imagine. He has provided excellent care that countless patients, I meet routinely, are grateful beyond words in their appreciation for his skills. These patients have related to me they feel fortunate to keep their teeth and their implants to maintain a healthy functioning smile. I could not say enough to endorse this outstanding fellow periodontist.